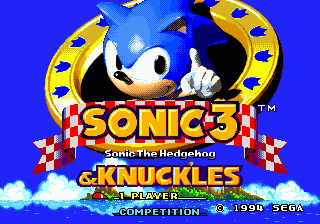 Sonic the Hedgehog 3 & Knuckles title screen. current 14:11, 17 February 2010 320 × 224 (9 KB) GerbilSoft (talk | contribs) Optimized. This page was last edited on 8 April 2018, at 09:28.